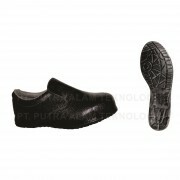 simonindonesia wrote in safety shoes, sepatu safety with 0 comment . The 26th International Manufacturing Machinery, Equipment, Materials, and Services Exhibition. PT. Putra Alam Teknologi was established on March 05, 2003 and located Cikarang Industrial Estate – Bekasi. As market leader and a official Distributor of Simon Safety Shoes. Developing the market, we have expanded branch office at Bandung, West Java. Cikarang Industrial Estate – Bekasi. Copyright © 2015 PT. Putra Alam Teknologi.